Today we’re happy to share a post from Mark Martin, who has been an adjunct professor in Bethel’s College of Adult and Professional Studies and Graduate School (CAPS/GS) since 2011. (He currently teaches in the MBA program.) 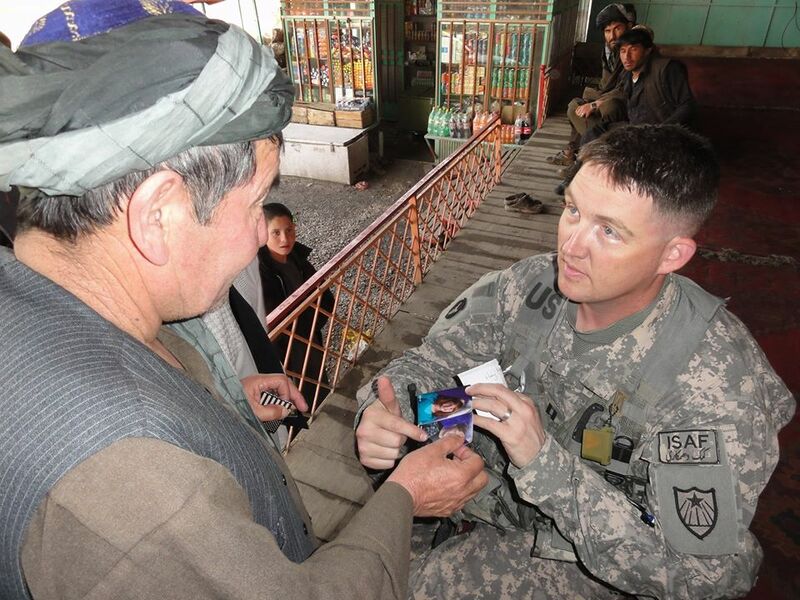 An officer in the Minnesota National Guard, Mark was kind enough to share his reflections on his deployments in Iraq and Afghanistan. In the Spring of 2005, the War on Terror was transitioning from “tip of the spear” offensive operations to what the Army likes to call “Full Spectrum Operations.” This basically meant that we were expected to be ready for anything that came at us. We were truly there as partners in peace and focused on rebuilding two nations of Iraqis and Afghans who, in some cases, had not truly rediscovered their identities yet. As an officer, a soldier, and a Minnesota National Guardsman assigned to the 34th Infantry Division, I was notified that year that I would soon be deploying to Iraq in support of Operation Iraqi Freedom. Subsequently, in 2009 I would follow up this two-year deployment with an additional 270 days in Afghanistan as a combat advisor. Little did I realize at the time that the next five years of my life would be spent in a constant flux of deployment, adversity, reintegration, redeployment, and continued reintegration and adversity. As a Christian, my faith would be tested in every way, and my story reminiscent of a biblical tale involving a hard headed man named Job. I joined the United States Army in May 1990 after a year at the University of Texas at Arlington. The next month I shipped off to basic training at Fort Benning, Georgia and quickly became familiar with what was, at the time, the most miserable summer of my entire life. I had grown up in Dallas, Texas, and I thought that I knew what the weather term “hot” truly was. I was quickly corrected when I was introduced to the humidity of southern Georgia in June, July, and August. Long story short, I survived my initial indoctrination to the US Army, and following Airborne school (where I learned to jump out of a perfectly good airplane) I was assigned to Fort Carson, Colorado, where I spent the first four years of my military career. It was in Colorado that I met my then-wife, and we started our family. After my original enlistment, I took time away from the service, and we moved several times, finally settling down in Minnesota. It was in 1998 that I went back into the service as a National Guardsman. In 2002 I finally finished my undergraduate degree at Concordia University in St. Paul, and I commissioned as a 2nd Lieutenant in April 2003 after attending Officer Candidate School. It would be a short two years until I deployed to Iraq. We began our deployment in August 2005. I was originally slotted as the Personnel Officer for the 134th Brigade Support Battalion. Our mission was to provide Service and Support to the larger brigade in the areas of supply (food, water, ammunition, larger end items like vehicles, etc. ), maintenance of vehicles, transportation support (convoy security and road clearance efforts, etc. ), and medical support (our Charlie Med Company managed the hospital in Baghdad and clinics at several other bases). After mobilizing and getting the unit out the door to our mobilization station, I transferred to the Operations Section as a Battle Captain, where I analyzed and tracked the units’ movements and provided command support to elements on the ground. After a six-month train-up, we deployed to Iraq in March 2006, where I performed Battle Captain duties in country. A short five months later, I was reassigned as the Company Commander of Bravo Maintenance Company, the position in which I completed the deployment. With specific regard to the reasons for which we went to war… I am aware of the partisan and often bitter argument between those who feel we should not have gone and those who feel that we were doing the right thing. This is not to mention the various and sundry protest movements out there. All I can say is that, as a soldier, it was a much more simple focus for me. In true Sun Tzu fashion, I was happy that we had been given an opportunity to pick the battlefield. Given the choice, every single one of us would have selected any place on Earth other than a location within our sovereign borders. I was happy that we were in Iraq and not at Ground Zero. I took pride in the knowledge that I was a hard target for the enemy, knowing that it would most likely deter them from taking the fight to my fellow Americans at home. Saying I was glad it was a fight that occurred overseas might sound callous toward the Iraqi or Afghan people, given the fact that the war placed a hardship on their lives, but I honestly did the best I could do to be respectful of their nation and their culture when I was there. The missions that we undertook while in Iraq were focused on building a partnership and a trust with our neighbors. As a brigade of approximately 5,000 soldiers, we were arrayed across the battlefield in numerous cities. (Baghdad, Falluja, Tikrit, Taqaddam, and An Nasiriyah, to name a few.) 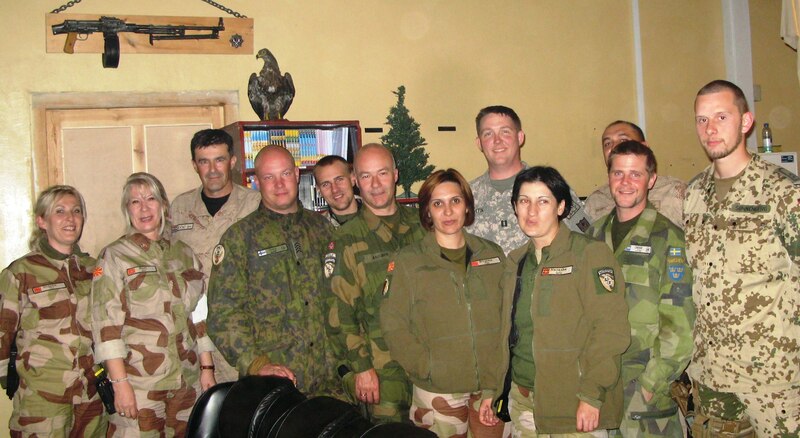 In every area we were stationed, we reached out to our neighboring Iraqis and tried to build a partnership with them. By focusing on plans to achieve a more lasting peace, in which the local residents could raise their families without fear, we found common ground with the local Sheikhs and village elders. Through this partnership, we were able to ferret out the troublemakers and terrorist cells operating in our areas of responsibility. By working together, we achieved more than we would have achieved by ourselves. This was the key to our approach, rooted in extending love and care for our fellow humans through Christ’s grace. In Afghanistan, my mission was a bit different. I was assigned as a Combat Advisor to an Afghan Company Commander. The approach, however, was the same. He and I were partners, and we collaborated to improve the lives of the citizens we protected. We were on patrol constantly, and encountered our fair share of trouble. More than anything, we cared about our troops and our mission, and we were able to forge a partnership built on trust and respect. Regardless of which side you come down on, you should know that over 99% of the time, your armed forces were focused on pursuing a professional and helpful relationship with their counterparts to rebuild and heal the communities we operated in. There was never a time when the deployed soldiers and airmen of the Minnesota National Guard were not focused on making things better in the places we served. We took that approach, that moral compass, and that work ethic with us everywhere we went. I would hope that this is something all Minnesotans can be proud of when they reflect on the years we were deployed in the War on Terror.